A recent Optane Memory driver update does the trick. Better yet, Optane Memory modules fit into budget builds, costing just $33 for a 16GB drive or $60 for a 32GB cache on Amazon. That should make Optane Memory a juicy upgrade for budget big-box desktop PCs filled with spacious hard drives, right? Wrong—at least until now. Intel made the baffling decision to limit Optane Memory compatibility to systems configured with pricier Core processors. Those machines tend to come loaded with native solid-state storage that don’t need Optane Memory’s benefits. Now that the technology plays nicely with processors that actually come paired with mechanical hard drives on a regular basis, it makes a lot more sense to invest in an Optane Memory stick. Hopefully the shift didn’t come too late for the futuristic storage tech. 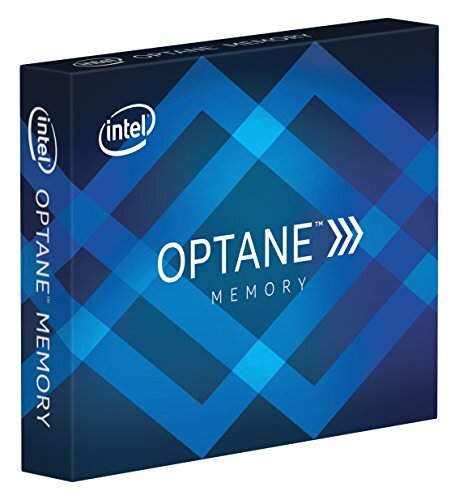 In January, Intel killed “Core+”-branded computers that pair its processors with Optane Memory, claiming that desktop buyers choose to buy their processor and Optane Memory modules separately. The bundles persist for laptops. Buyer beware: If you’re interested in giving your hard drive more pep in its step, be careful about the Optane solution you’re buying. The affordable Optane Memory modules discussed here act as a caching solution that augments spinning drives, while pricier products like the Intel Optane 905P—our pick for the fastest SSD available—are a more cutting-edge take on standalone solid-state storage, instead. This story, "Intel's Optane Memory finally supports Celeron and Pentium budget PCs that need the most boost" was originally published by PCWorld.